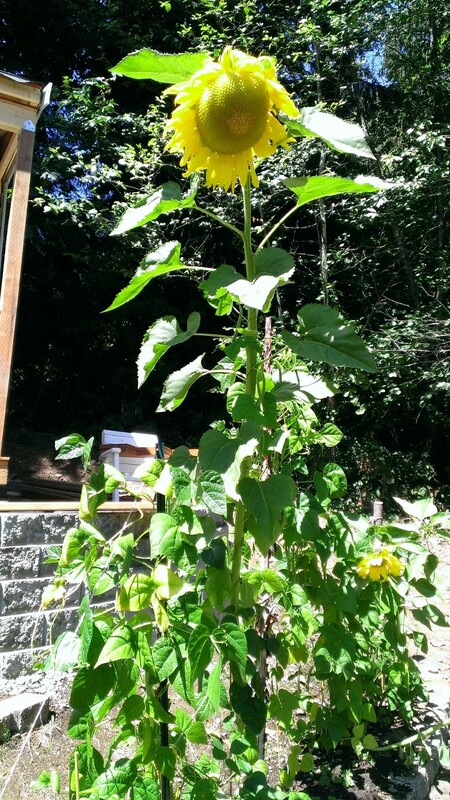 Sunflowers are the perfect flower for our garden. They are beautiful and bright as they tower over all other plants in the garden. They bring joy to my heart and a smile to my face just by looking at them. Sunflowers have been a part of our garden for many years now. We start them from seeds and plant them throughout the garden and around the house. They grow to 8 or more feet and tower over everything. They are the sentinels in the garden. The only maintenance they require is staking. A strong wind will blow them over, so we provide support to them when they are away from structures or tie them to a fence or lean them against the house so that they will be supported in the wind. They feel magical to me. I feel a little like I’m in a Jack and the Beanstalk fairy tale when I walk around these graceful giants. The birds have been eating the seeds from this one. They are a beautiful sunshiny yellow and the birds and the bees just love them. 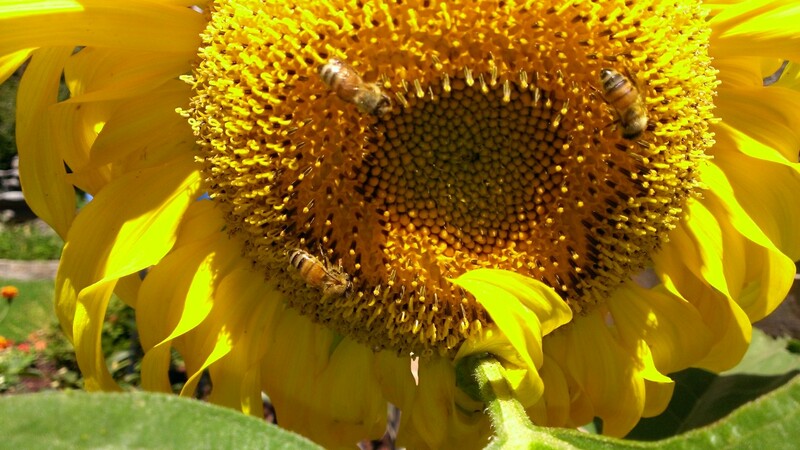 The bees take their nectar and pollen and the birds harvest their seeds once they’ve matured. This is nature’s bird feeder. This one flower provides beauty for our garden and food for the creatures that share our garden. Does it get any more perfect than that? 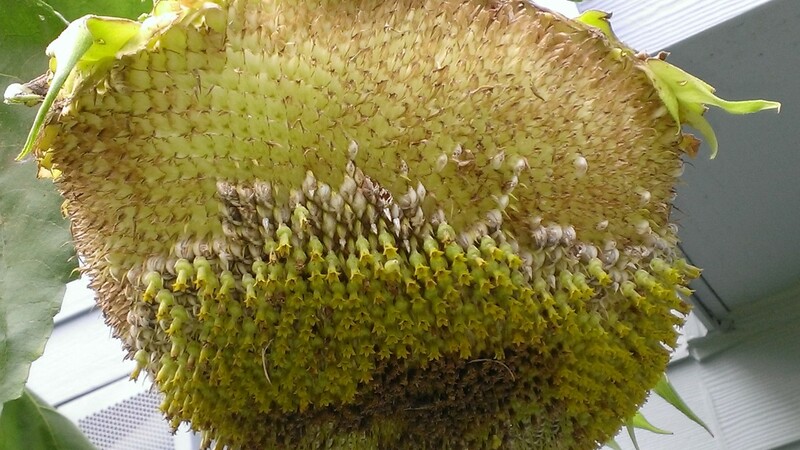 Gallery | This entry was posted in Gardening and tagged Bees, Birds, Flowers, Sunflower Seeds, Sunflowers. Bookmark the permalink.